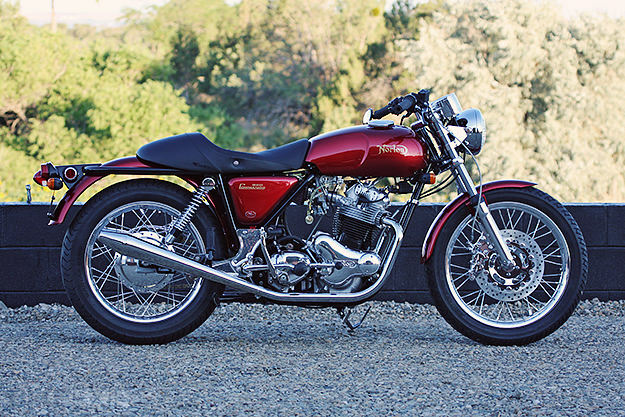 By most accounts, owning a vintage Norton Commando can be a quixotic experience. 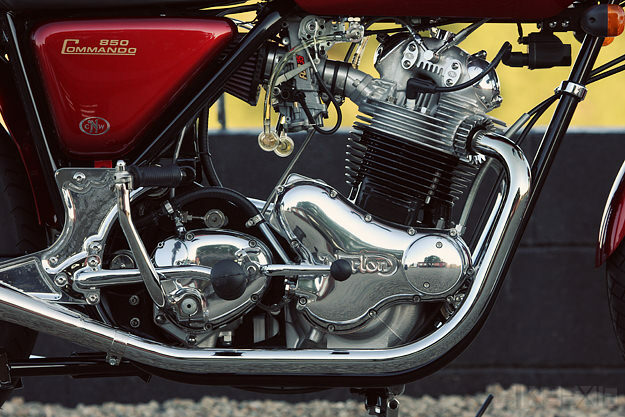 For many, it’s the romantic ideal of a classic motorcycle—but you’re likely to need good spanner skills to keep the bike going. 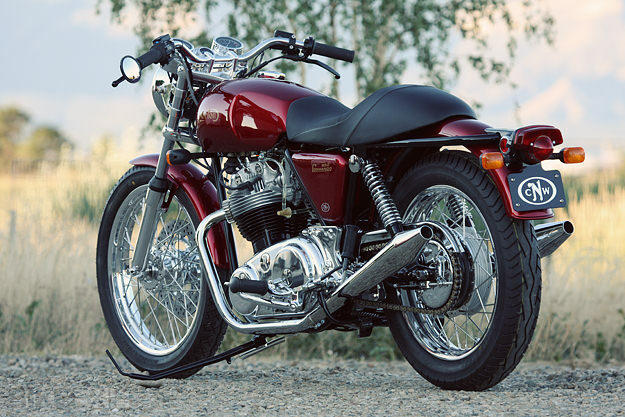 The alternative is to locate a Commando that has been subtly upgraded as well as restored, by someone such as Matt Rambow of Colorado Norton Works. Almost 100 bikes have rolled out of his workshop to date, and his mission is to “re-build the finest Norton Commando motorcycles on the planet, to match the taste and riding styles of our individual customers”. 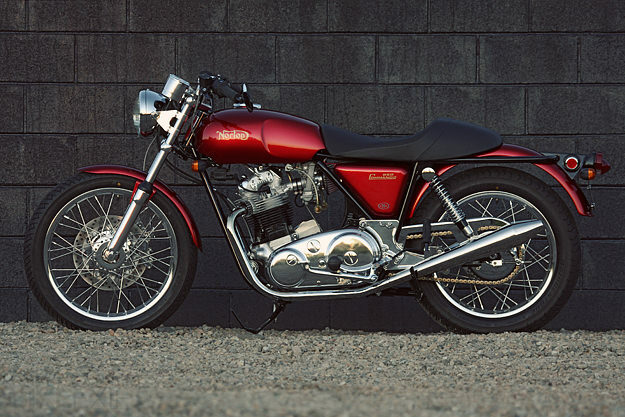 This particular bike, #89, is a 1974 Norton—an 850cc Roadster model. And like all recent CNW bikes, it’s benefited from over a hundred upgrades. That includes a rebuilt engine with dual Keihin carbs and a thorough head job, complete with a 3-angle seat cut and Black Diamond valves. Rambow has upgraded the transmission with a Jim Comstock Engineering hydraulic clutch, and changed the primary to a belt drive. The electrics have been given a shot in the arm with a high-output alternator, tri-spark ignition and a single-coil setup. The brake system is modernized, with a Brembo 320mm full-floating disc and a 4-piston caliper. Matt also modifies the front and rear hubs, and fits his own design of billet triple trees. 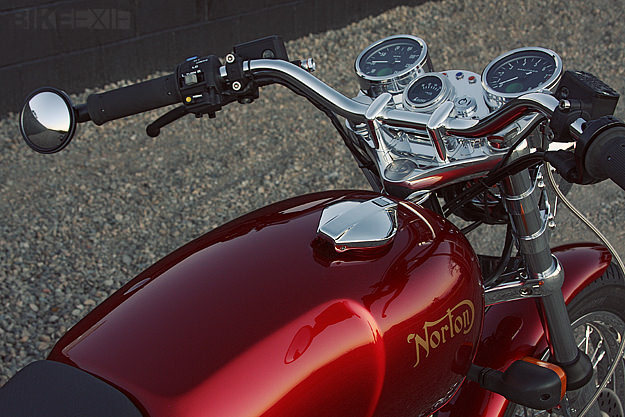 It’s the perfect compromise: the style and character of a vintage Norton, with modern dynamics and reliability. A compromise I’d be very happy to pay for.